Starting in February, employees will be able to attend monthly healthy-cooking classes in Building 71’s Canyon Cantina. Good news for Grand Canyon University employees: A company-wide incentive can help replace weight-loss resolutions with workable solutions. GCU employees are invited to take part in setting goals – and meeting them – during the New Year Solutions Challenge, which kicks off Jan. 15 and ends Feb. 11. The event is part of “Wellness 360,” a new, multipronged GCU program intended to offer options for leading healthier lifestyles. Like similar GCU wellness contests, points are accrued in the new challenge by keeping track of exercise, such as running, cycling, weightlifting and so on, and logging results into a Wellable account. In addition, points are scored for tracking nutrition and weight and by participating in themed activities. This is an individual, not team, competition. Prizes will be awarded throughout the challenge. “This is more geared toward setting S.M.A.R.T. 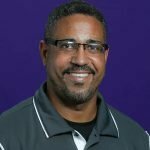 goals for the year,” said Chuck Howard, GCU Corporate Wellness Administrator, referring to Specific, Measurable, Attainable, Realistic and Timely goals. Also on deck are two new wellness programs to help manage those over indulgence-fueled ballooning bellies or holiday hips. Starting soon, Weight Watchers will be offered at 11 a.m. Wednesdays in Building 71. It’s a program that promotes limiting portion size, eating nutritiously and enhancing accountability with weekly weigh-ins. The launch date has not been set. “It’s a more realistic way of eating,” Howard said. 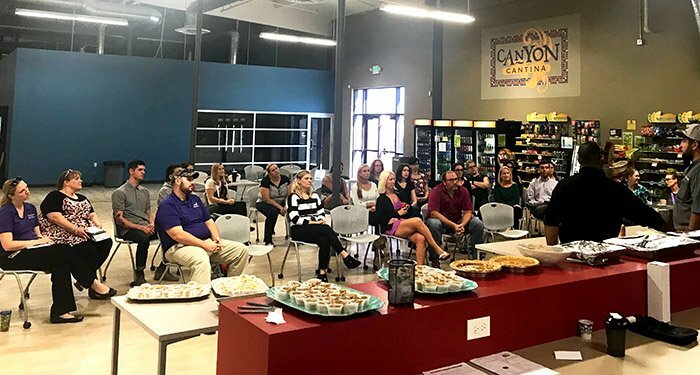 Additionally, Tim Promberger, Chef du Cuisine at Canyon 49 Grill, plans to conduct monthly healthy-cooking classes in Building 71’s Canyon Cantina. The classes will be on the first Thursday of every month except the first one, scheduled for Feb. 8. “He knows how to make healthy food taste good,” Howard said. Promberger last semester led a cooking session for employees that included recipes for such treats as 190-calorie per slice Pumpkin Crumble. Challenge participants can earn points for activities as well as logging meals and snacks. Howard urges employees to stay tuned for an email containing information from Wellable. In addition, questions may be addressed to Howard or Wellable. This is awesome to offer the program to employees. Perhaps it can be offered to students sometime in the future. Praying for great success to all who participate. It’s all about mindset and lifestyle change.